Athens, 16 March 2017 – Despite its important contribution to the national economy, growth and value added, the pharmaceutical industry has come under asymmetric pressure since 2009 as a result of MoU interventions in the area of pharmaceuticals. Regrettably, the outlook for 2017 is particularly dismal. The pharmaceutical budget expenditure that has been set is not sufficient to cover the needs of the population. Health Policy has focused exclusively on reducing public pharmaceutical expenditure rather than on structural reforms that would deliver savings for the health system. Having failed to implement such reforms, government policy has heavily relied on across-the-board measures, the burden of which is primarily borne by pharmaceutical companies (€1 billion in rebates and claw-backs in 2016), as has become standard practice over the last seven years. 1. New criteria that effectively forbid the inclusion of new products into the positive list. 2. An additional rebate of 25% as list entry fee, further to the already applicable rebates and claw-backs. 3. A significant increase in existing rebates by an amount equal to the 30% reduction of the claw-back under a MoU commitment, meaning that part of the clawback is replaced by a rebate! 4. Closed-end budgets per therapeutic class, without the necessary infrastructure. If these proposed measures are enacted, the introduction of new innovative medicines in the country will be delayed by 2 to 4 years or be cancelled altogether. These measures pose a huge threat to patient access to innovative treatments and to the viability of pharmaceutical companies, as many companies, mainly but not exclusively Greek ones, may not survive, which would imply significant job losses. This situation deals a blow on healthy entrepreneurship, without ensuring solid fiscal gains or, more importantly, better healthcare for patients. 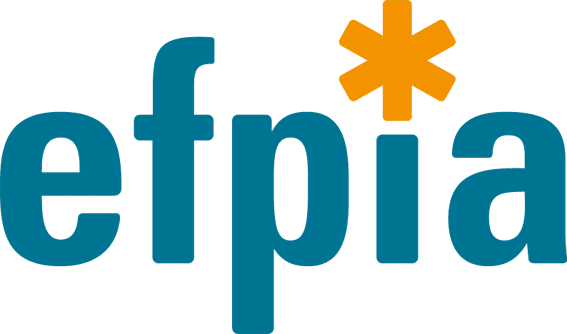 In order to avert the visible risk of a major health crisis, there is an urgent need to promote the structural reforms as recommended in the proposals that SFEE has submitted to the State and as envisaged by the MoU. We need a comprehensive priority plan as part of a “National Plan for Health”. The industry in unison calls upon the Government and the State to take appropriate action to address the pressing issues, safeguard public health and support entrepreneurship. Assessment of new medicines through a HTA agency as announced and as required by the MoU for 2017. Universal and compulsory implementation and use of therapeutic protocols and establishment of patient registries. Operation of a Negotiation Committee and development of volume-price agreements. Utilisation of all data derived from the e-prescription system. Horizon scanning, enabling the identification and utilisation of new technologies. 2. To see innovation as investment in health and not as a cost, given the healthcare cost reduction potential of innovative treatments. Our industry is part of the solution and that the sustainability of the pharmaceutical care system in our country crucially depends on the viability of pharmaceutical companies and their ability to supply medicines to Greek patients. The pharmaceutical industry is an important pillar of growth and contributes to employment by supporting 26,000 jobs directly and 86,000 indirectly. It must provide incentives for further growth, jobs and investment:(a) investment in clinical research could triple if incentives such as those in place in other European countries were introduced; (b) a framework of tax-related and other investment incentives needs to be developed in order to further enhance cooperation between Greek and international companies, thereby fostering innovation and supporting the country’s research workforce, as is the case in many European countries. 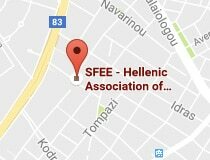 Promoting transparency and acting within a strict self-regulatory framework guided by its Code of Conduct, SFEE is committed to ensuring unhindered patient access to treatments and strongly voices its view that health must be at the heart of economic and social welfare of Greece. Investing in innovation is beneficial for the country’s economy as well as for the health of its population. We are allies in the effort to remedy the health system, but also in the development of a national strategy focused on patients. However, the delays in implementing the necessary restructuring mean a loss of valuable time, holding back investment in the healthcare sector, but also better healthcare provision and job creation.